I’ve been training dogs all my life. My dog, Marconi, is an award-winning certified therapy dog who has been visiting in hospitals and libraries for almost six years. But it took three solid months of training to get him there, not to mention subsequent instruction that the facilities we visit require. The training tips I’m giving you here are used to train animals for work with the most vulnerable populations where there is no room for any bad behavior. And while I don’t expect you and your dog to become a registered therapy team, if you train like you are, I guarantee a happy home will be the result. Before I reveal all of the secrets I learned during my extensive therapy dog training program at the ASPCA (and subsequent re-certifications every two years), there is something basic that you need to understand about dogs. Once you master this concept, every other dog-training tip will make perfect sense to you. Here it is: Your dog does not want to be in charge. Every trainer, dog expert and behavioral specialist we had train us over the past six years gave us some version of that theory as a basis to understanding how to have a well-behaved, happy and emotionally stable dog. Most canine anxiety in healthy dogs occurs when the dog is put in a position to be the decision maker in an unpredictable environment. If you understand this simple idea, you can troubleshoot any situation using that as your basic guide. Michele Siegel, our certified professional dog trainer at the ASPCA, patiently waited for each one of us to be skilled in those three commands. How did we become experts in these three life-saving skills? Turkey, roast beef and hot dogs. Michele called them “high-value treats.” Sure, your dog might be motivated by a toy or a ball, but when you need to be adept at a command, the payment for the work has to be top dollar. A squeaky toy is Kickstarter; roast beef is Robert Downey Jr.’s Iron Man salary. How to treat train: It becomes about repetition. Sit. Turkey. Stay. Turkey. Come. Turkey. Until you start to ease up on the treat. Then the dog will get the treat sometimes, but not every time, however, he will do the behavior every time just on the off chance that’s the one that has turkey attached to it. This is important, because if we’re at the hospital and our visit is over and I’m out of turkey, I know that my dog, Marconi, will “sit” and “stay” if a patient with allergies needs to get by, or if there is an emergency where he needs to be very still. And for dogs that might run out of the house unexpectedly or wander into the yard of an unfriendly dog, “come” is crucial. Don’t underestimate the importance of using the proper leash for ongoing training purposes (and for safety). You must keep your dog close to you at all times so that you can easily control him in the event of an emergency and so that your dog knows that you’ve got his back. I cannot emphasize enough how important this simple task is for behavioral training. How you walk your dog is as important to his training as anything else you could do for him. Leash types: During our therapy dog training we were allowed to use a slip lead or a leash that was sturdy but no longer than six feet. These types of leashes help you limit how far away from you the dog can get. In many facilities where therapy dogs visit, allowing the dog to control where you go can get you fired from the facility because you then create a danger to the population you’re visiting. Let’s say he wanders into the room of someone immune-compromised or highly allergic; you’re a liability now, doing damage to the patient. The same idea goes for the world at large. If you allow your dog to walk too far in front of you, you are no longer in control from a physics standpoint. Plus, you are forcing your dog to start making the decisions about where to go, how to handle other dogs, people or maybe a speeding car you encounter. That’s why we were taught to never use a retractable leash in any circumstance. Most states have leash laws that limit a dog’s reach to six feet anyway, so those retractable leads are illegal since they can go up to 16 feet or longer. Trust me, the very first time you see a 75-pound dog pick up a Yorkie on a retractable lead and shake it like a toy, you will understand why those leashes are not just dangerous but make you an extremely irresponsible pet owner. Your sweet muffin might be friendly, but it’s your job to protect her from the aggressive dog with the irresponsible owner coming towards you. Furthermore, the thin cord of a retractable lead has been known to become entangled, getting wrapped around a finger or other body part causing extreme physical injury to you or your pet. My good friend Dr. Marty Becker (aka America’s Vet) told me about food puzzles when I first got Marconi. Since their canine ancestors would hunt for their food, the life of early dogs was one big food puzzle. But ever since we began just handing over the goods, dogs no longer needed to use that part of their brain. A dog’s brain is hardwired for work. Marty says that many behavioral issues (excess barking, leash pulling or chewing furniture) are due to a lack of stimulation. What are food puzzles? Food puzzles are toys designed to help the dog work as if he’s hunting for prey, using memory, skill and logical manipulation, all geared towards the dog releasing pent-up cognitive energy, which has been linked to destructive behavior. Marconi’s favorite is the Busy Buddy by PetSafe. He has to work to roll the toy just right in order to release a few kibble, and then some more. It tires him out as much as a walk does. If you have a high-strung breed like a terrier, food puzzles will change your life. Just as your doctor would tell you that exercise is good for your heart, muscles and longevity, your vet would say the same for your dog. There is no question that a calm dog is a good dog, and a tired dog is a calm dog. My friends in the suburbs always ask how I can have a dog in the city, when the truth is, my dog gets 10 times the exercise theirs does. The structure of a long, disciplined walk with an owner simulates the hunt for food on their brain and satisfies a primal mental need which exhausts a dog in a way that play does not. What is not exercise: Letting your dog out in the yard to do his business and come back in is not exercise. For urban animals, dog runs are not always a good thing for the same reason. While a run can help socialize a young dog, they certainly do not provide enough exercise and mental stimulation to keep boredom at bay. 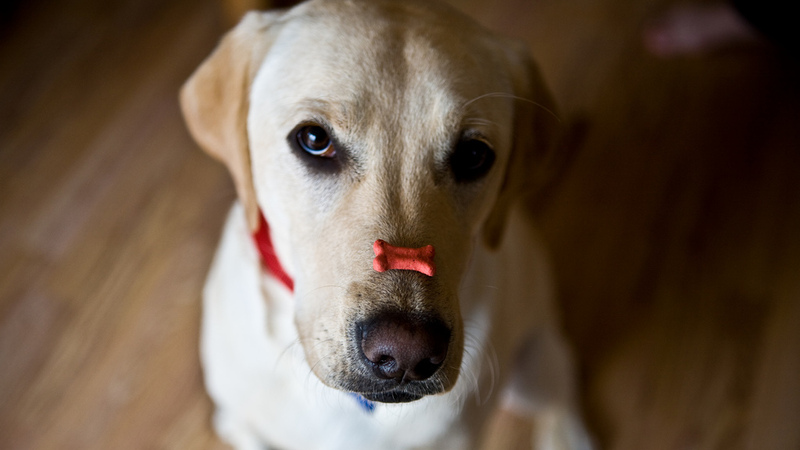 Keeping dogs away from boredom is essential in behavioral training. Bored dogs chew furniture, they scratch doors and they bark excessively. Exercise stops those behavioral problems in their tracks and if you want to take it up a notch, agility training is the gold standard. One of my favorite parts of our training was when they acclimated us to novelty, because in a visiting facility odd things happen almost daily and you don’t want your dog to be spooked, scared or react negatively. That can lead to aggressive behavior, simply because of fear. How do you train for this: By doing what they did at the ASPCA, or a smaller version of it. At our class they would bring in people dressed in weird outfits, holding puppets, noisemakers or pompoms. At the time I thought the program had gone sideways and they had all lost their minds, but what they were doing was actually brilliant. They were teaching the dogs to be comfortable when the unexpected occurred, which was a great way to reduce a fear response in our dogs. Giving your dog as many experiences as possible can help him learn to be comfortable in a variety of situations, thereby lowering his fear response. One last thing… Most dog experts will tell you that the vast majority of behavioral problems can be controlled by you. You are the key to a dog’s ability to live a happy, problem-free life, and helping your canine companion be a better citizen will make you a happier person too. Having a productive and reliable training routine with your dog is the best and most effective way for you get there.